Allegra Boverman/Gloucester Daily Times. 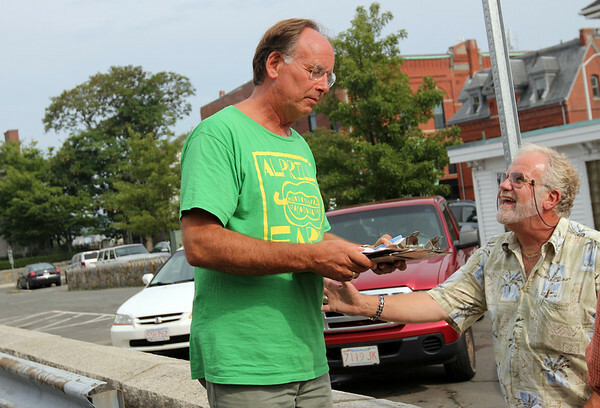 Mac Bell, left, is getting signatures to get on the ballot to run for mayor. At right is Dennis Latham, who is going to run for at-large city councilor.